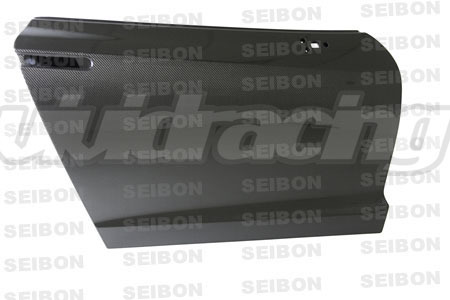 Seibon Carbon specializes in the design and manufacture of high-quality carbon fiber automotive body components such as hoods, trunks, fenders, and aerodynamic body additions such as rear spoilers and side skirts. Seibon was founded by genuine automotive aficionados, and debuted in the automotive aftermarket industry in 2003. Seibon realized that there was a demand for top-quality, durable carbon fiber components among other like-minded enthusiasts, and they set out to create the best products in the industry. Seibon's products are stylish and functional. Everything is made from deluxe French or US-made carbon fiber, and is rigorously-inspected during our multiple-step quality control process. Their in-house design team introduces and maintains proprietary designs for a wide and growing variety of sport compact applications. The most effective and efficient way to improve a cars performance is by reducing its weight. Weight reduction increases acceleration, throttle response, handling, braking, and fuel economy. Carbon fiber is key to improving performance, that's why it is found so frequently in today's modern race cars. Carbon fiber is much lighter than the heavy factory components it replaces. The benefits of Carbon fiber are twofold. Not only is it lightweight, but it is also very strong and gives your car a unique look. Its unique weave pattern is known by car enthusiasts worldwide. But, if you prefer, it is possible to paint over carbon fiber if you want to keep the stock look of your vehicle.